LIRI wedding marquee for sale are extremely versatile and are ideal for any party from backyard weddings to royal weddings. Our beautiful and durable wedding marquee for sale will impact the bottom line of your wedding ceremony. Our unique designed glamorous party tent with sculpted high quality decoration creates an attention-getting silhouette.. 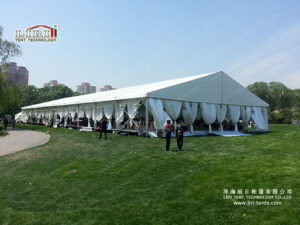 The wedding tent is easy to install, lighter to transport and has less stakes to pound. 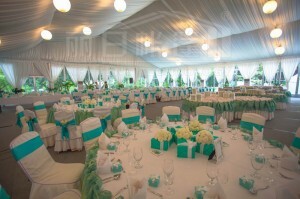 Ease, durability and aesthetics are combined in the design of our wedding tent . The wedding marquee for sale 10′ x 20′ Canopy features an accordion frame that lets two people set up this canopy in less than 10 minutes. wedding marquee for sale are extremely versatile and are ideal for any party from backyard weddings to royal weddings. 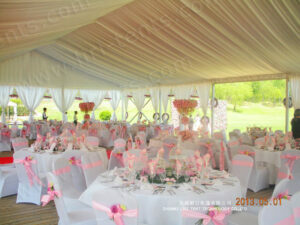 Our beautiful and durable wedding marquee for sale will impact the bottom line of your wedding ceremony. 1, Frame material: hard pressed extruded aluminum alloy ( GB6063/T5, GB6061/T6 ), sturdy and never rust;2, Fabric material: 650~850g/sqm double PVC-coated polyester textile, UV-protection, rainproof, anti-fungus, weatherproof, flame retardant (DIN4102 B1/M2);3, Steel components: hot-dip galvanized steel, the thickness over 60um; 4, Wind load: 100km/h ( 0.5KN/SQM ).1, high reinforced aluminum frame;2, TUV, SGS, ISO9001:2008 certificate;3, clear top cover, clear side wall optional.